I love to paint with both watercolor and oil paints but they are not easily carried around and you cannot work on a painting while waiting at the doctors office, or while recuperating from injuries or illnesses………or so I’ve found! So I discovered awhile back that I can bring along my crochet projects almost anywhere and be productive at the same time……a win, win situation! This yarn reflects light, making it ideal for headbands for runners that run in the evening or very early morning. It’s like having a reflective armband on your head so cars can see you! It comes in many wonderful colors……neon pink, neon orange, purple, Aran, black, neon yellow, neon green……but I ordered olive, grey, and peacock……..all great! There’s a crochet pattern on the label for an adorable headband. It requires two skeins of yarn but I found a crochet pattern from……….. Nikki in Stitches ……………. ……….that required less than one skein and by adjusting stitches and crochet hooks, I found I could make it work for a few other different yarns, including Charisma. The number of chains you start out with can be different for each yarn. I made sure it fit around my head before I started the second row. I would measure if it’s for a child or anyone else. 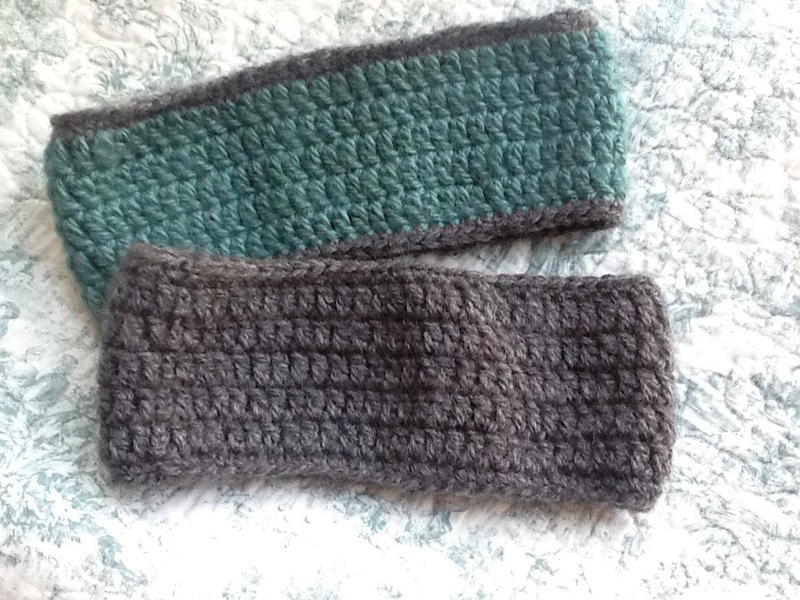 Here are my reflective yarn headbands in peacock, grey, and olive……. I also started and ended with a border of another color……..in this case, some leftover black yarn. 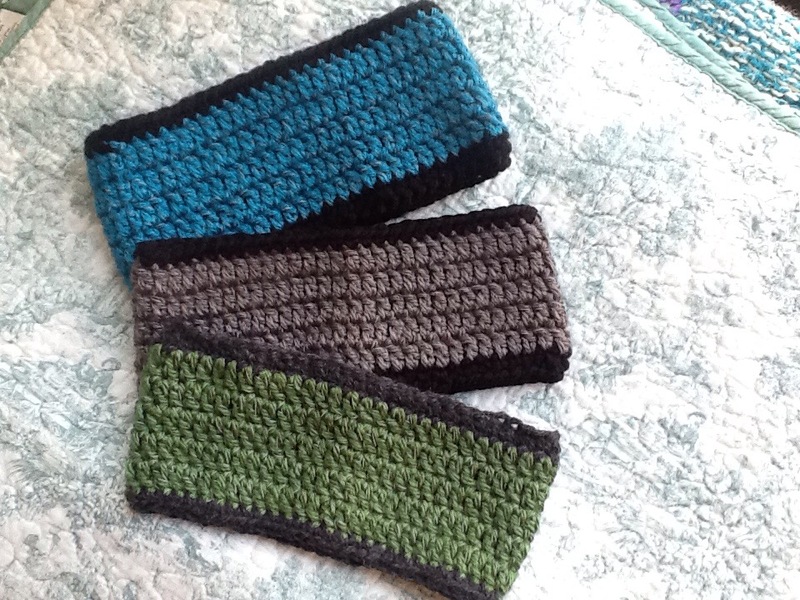 And I made a few others from leftover yarns…….a great way to make your yarn stash shrink! The turquoise one has a grey border. The bottom one is all grey. 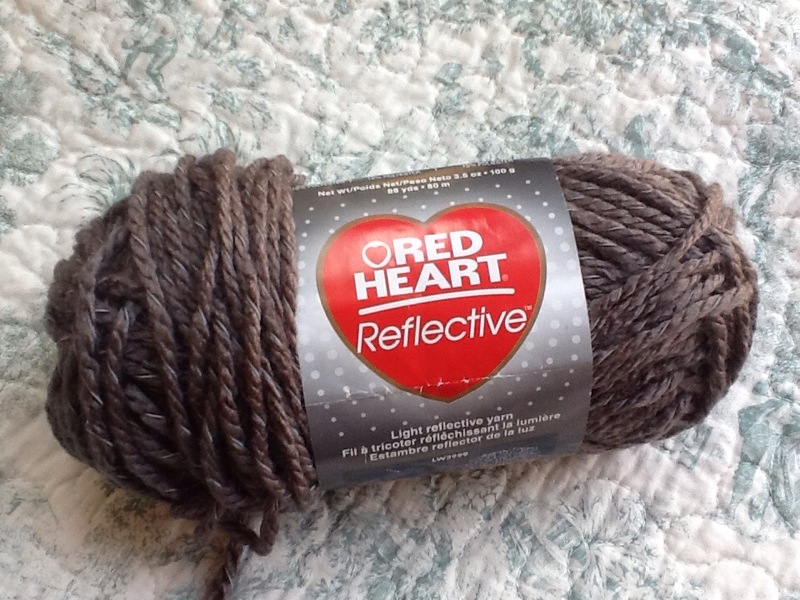 Have fun experimenting with Red Heart’s new yarn for a useful and good looking gift for your favorite runner or maybe even for yourself! This entry was posted in art and life, how-to and tagged crochet, crocheted head warmer, crocheted headband, Red Heart yarn, reflective yarn. Bookmark the permalink.